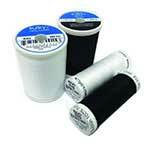 Our 30 weight cotton thread has a matt appearance and is ideal for decorative quilting. This thread can be used as an upper or lower thread on a machine, or used by hand. Sulky cotton 30 is thinner than the 12 weight cotton. The 12 weight cotton is 40% thicker than the 30 weight and has the same matt appearance. 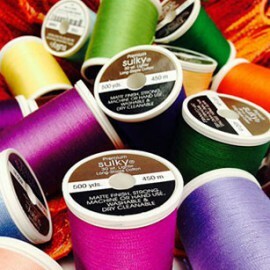 Sulky Rayon is a 40 weight decorative thread, made from 100% Enka Viscose. 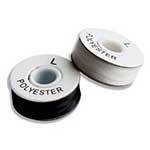 Our Rayon thread has the same lustre as silk thread. Rayon variegated thread is a 40 weight, 100% Enka viscose thread that is made up of different colours or blends. 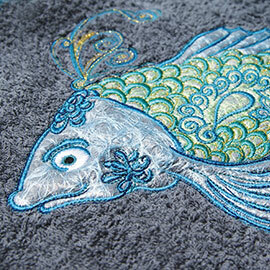 You can create amazing results with this thread, making a single colour design look unique and impressive.